Named Olli, the electric and autonomous shuttle was made by Local Motors — the creator of the first driveable, 3D-printed car. The shuttle uses IBM’s Watson supercomputer so passengers can make requests like asking it to drive downtown or change the temperature, according to a press release. 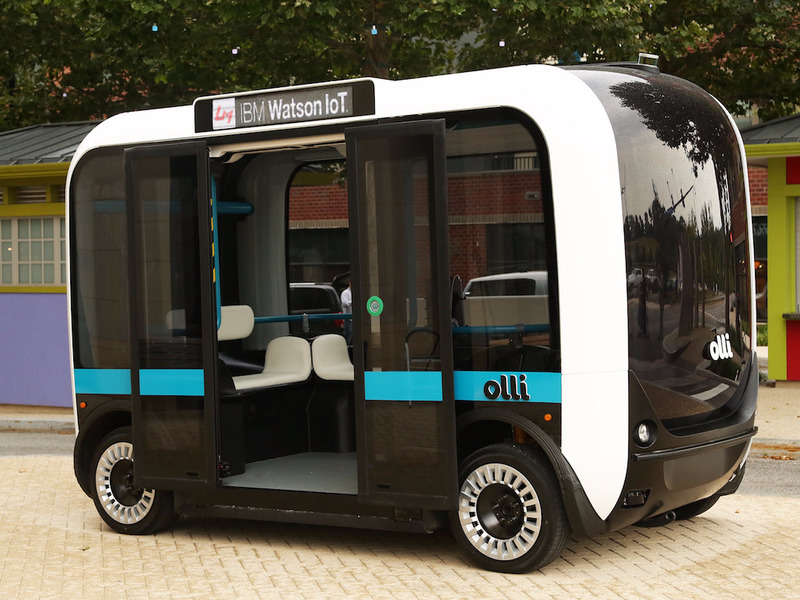 Olli is the first self-driving vehicle to use IBM’s Watson. 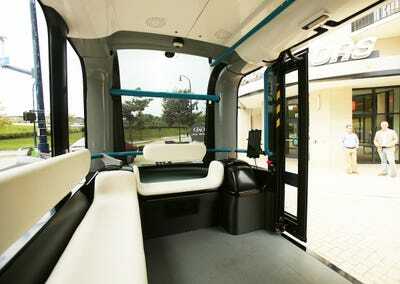 It fits 12 people and uses Lidar, GPS, and external cameras to navigate. The shuttle can reach a top speed of 12 miles per hour with a range of 32 miles. Olli was introduced with the opening of Local Motors new facility in National Harbour, Maryland. The facility showcases Local Motors’ 3D-printed cars and large-scale 3D printer.